Bonjour mes amis! It’s Paris in July again, thanks to Tamara at Thyme for Tea, who has been running her annual glorification of all things French for seven years, and I’m always amazed at how many different books, films, foods and songs people come up with. I love to see their contributions and, since there is no chance of me making it across the Channel for a holiday, I tend to view this as a kind of ‘virtual trip’ that is not as good as the real thing (obviously) but is, nevertheless, interesting and enjoyable. I had stuff all planned out, and was going to a post a week but, once again, life has got in the way so I’m late to the party, but I’ve time to get some reviews done before the end of the month.. Originally I aimed to write about The Little Paris Bookshop, by Nina George, because I’d read reviews which made it sound sound delightful and charming. Books and Paris. What’s not to like, I thought. Quite a lot as it turned out. However, since this is supposed to be a celebration of Paris, all I will say is that it was like drowning in marshmallow. Initially I gave up at around chapter 15, but I did go back and struggle through the rest of it, and wished I hadn’t. 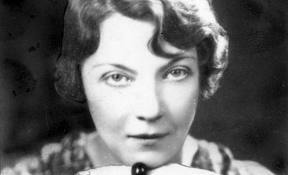 I needed an antidote, so I turned to Jean Rhys who, thank goodness, is neither charming, nor delightful, and exactly suited my mood at that point (I’m a contrary creature, and much as I love her work there are times when I require cheerfulness, and on those occasions she simply will not do). Anyway, if you’re looking for happy endings you won’t find them here. In fact you won’t find happy anything in her work – it is unremittingly bleak. But no-one portrays seedy, Bohemian Paris quite like Rhys, and seedy, Bohemian Paris is exactly what you get in a selection of short stories from The Left Bank (subtitled Sketches and Studies of present-day Bohemian Paris). Her first published work, it was issued in 1927, with 22 short stories, of which nine appear in Tigers are Better-Looking, a later collection which also includes a selection of her other short stories. 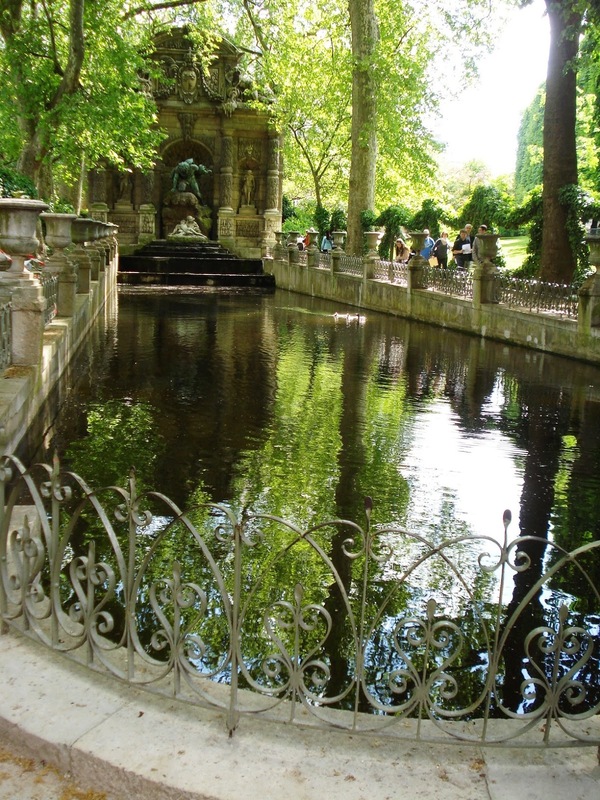 Tigers are Better-Looking: Short stories about Bohemian Paris. I’ve concentrated on some of the tales from The Left Bank which appear in my 1982 Penguin edition of Tigers are Better-Looking. The book also has part of the original preface by Ford Maddox Ford – who gave Rhys her nom de plume (she was born Ella Gwendolen Rees Williams), launched her literary career, and had a corrosively torturous affair with her (which they both wrote about). Describing her work as ‘very good’, he says her business is with ‘passion, hardship, emotions’ and explains that ‘these sketches begin exactly where they should and end exactly when their job is done’. I think that’s spot on, especially the last comment. These slender stories are almost snapshots, where events have coalesced at a particular point in time, and Rhys’s pared down writing means there is never a word too many. Come to that there is never a word too few either. There is no back story, and no future – just the grim present, with barely enough information to form a picture of what is happening. And Rhys never judges: she offers neither praise nor censure. Her characters are as they are, and you must accept them that way, however uneasy it may make you feel. She writes mostly (but not always) about women. They are outsiders, not quite accepted by society, down on their luck, living in cheap hotels or the equivalent of boarding or lodging houses. They are blown hither and thither by the winds of fate, desperately searching for love. Mostly they have no inner resources or strength, no will of their own – they can’t take positive action to change their life, they need a man who who will look after them, tell them what to do, make them feel loved, cared for, needed. Yet the men they meet are no good. They are rotters, on the make, equally adrift in a world they cannot understand. We know know it, and so do the women. Despite everything, on the whole Rhys’ women are survivors, even when they hit rock bottom. In an odd way they are curiously naive, never quite losing hope that something will turn up, while at the same time being honest and clear-sighted enough to know it won’t. And there are odd glimpses of beauty, and you get the feeling that tough though things may be, these women have lived life to the full, and would not have things any different. Like Edith Piaf, they have no regrets. A handful of the tales are set elsewhere, but they are still peopled with Bohemian drifters, and have that unmistakable ‘left-bank’ feel. Like the women of Paris, alcohol gets these women through their days, and Veronal gets them through the nights. (Veronal was a widely available barbiturate sleeping powder). One of the few women who makes her own way in life is Miss Bruce, who we meet in Illusion. Tall, thin, and quite old, with large hands, bones and feet and a ‘gentlemanly’ manner, she’s an Englishwoman living and working as an artist in Montparnasse (with limited success). She always wears a neat serge dress in summer, and a neat tweed suit in winter, both outfits completed with low-heeled brown shoes and cotton stockings. And for special occasions she has a black gown of crepe de chine, ‘just well enough cut’. But her hidden secret is revealed when she is rushed to hospital and the narrator goes with concierge to collect a nightgown, comb and other necessities for the sick woman. They open the door of the plain, sturdy, utilitarian wardrobe and the drab room gives way to ‘a glow of colour, a riot of soft silks… everything that one did not expect. There are cosmetics, perfumes and the most beautiful clothes imaginable – but Miss Bruce has never been seen wearing any of them. Your heart goes out to this plain, sensible, elderly woman who craved a little beauty in her life. Could Miss Bruce’s gold evening dress have looked like this one, made by Soeurs Callot in 1927. The salon where buyers view the clothes (and the girls who wear them) is sumptuous in white and gold, but elsewhere is dingy. And the glamorous ‘goddess-like’models, with their ‘sensual, blatant charms, and their painted faces’ are envied by the the saleswomen, the dresser, and the sewing girls. But, like the decorated public salon, it’s all artifice. Anna spends an hour putting her make-up on, an hour being draped in a dress. One of the saleswomen pinches her, and she and the other mannequins seem perpetually bored, though they complain they are tired and the work is hard. Anna tells herself she can’t stick it, but we know she can and she will. She will do this until she loses her figure and her looks, and faces an uncertain future. But, for the moment, she is happy, and walks into the ‘great, maddening city’ clad in a beautifully cut tailor-made and beret. I am not sure what a ‘tailor-made’ is – a suit, or a coat perhaps? Obviously something stylish though. Actually, looking at what I’ve written so far, this post has changed direction again, because it’s much more about clothes than it should be! 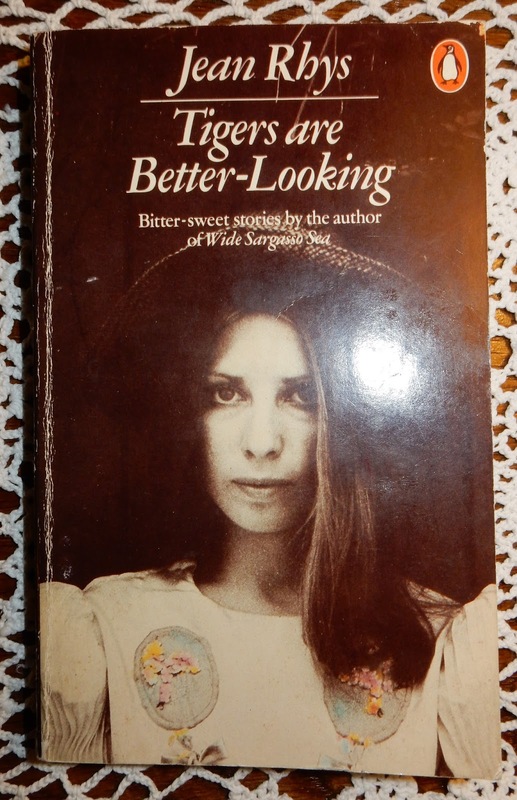 This was a re-read, and I’d never noticed before how important clothes in Jean Rhys’ work, and it’s sent me scuttling off to look at some of her other books again. Personally I blame Moira at Clothes in Books, which is one of my favourite blogs, for making me obsessive about clothes. I’ll just mention one more tale, La Grosse Fifi, and yes, I am going to mention clothes again – Paris is famed for its fashion industry, after all. Here we’re in the Riviera. Roseau has no money, no man, no close friends. She’s bruised by life, tired and depressed. She’s befriend by Fifi, a wealthy older woman with a toy boy in tow. This Fifi. Sheer nighties of silk, chiffon and similar materials were very fashionable, and were often trimmed with coloured laces and decorated with embroidery. This one, which looks similar, is from Boue Soeurs in 1927, in the Metropolitan Museum New York. Her night attire is just as outrageous. “She was wonderfully garbed in a transparent nightgown of a vivid rose colour trimmed with yellow lace.” But the effect is spoiled by a dirty dressing gown, with the sleeves tied around her neck. Can’t you just visualise her? She sounds grotesque, but she has a heart of gold, and is as needy for love as anyone else – but there is a cruel fate in store for her. And this… I do love book hunting, especially when I strike literary gold! 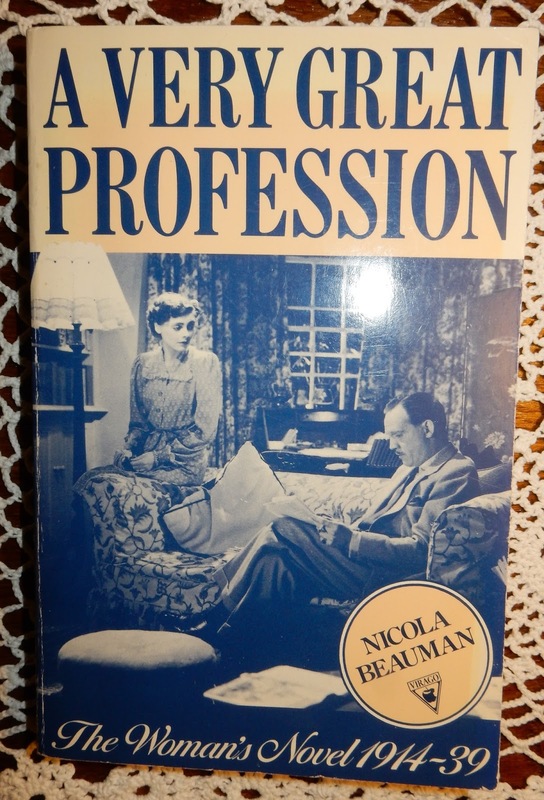 I’ve been looking out for a copy of Nicola Beauman’s A Very Great Professionfor quite some time, so when I spotted this 1983 Virago edition how could I resist? Basically, it’s a study of middle-class women between the wars, as portrayed in novels of the time. By and large the authors featured are middle-class women, writing about the world they knew. Many have been forgotten for decades, while others have undergone something of a resurgence in recent years. I’m really looking forward to reading this. I think it’s a fascinating subject, and from a quick glance it seems that the seeds of the Persephone ethos are there in this book. 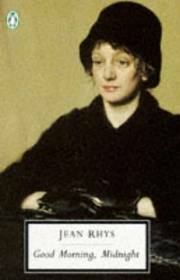 The women in the novels explored by Beauman in A Very Great Profession may feel frustrated and constrained by the narrowness of their lives, but they’re a world away from those created by Jean Rhys. Her heroines (if one can call them that) always seem to be cast adrift, buffeted by fate, unable to summon the will or the energy to change things. She’s not what I would call a happy writer, and I’m not sure her work is enjoyable in the conventional sense – her stories are bleak, and there seem to be no happy endings, but I love the way she writes, and I’ve been hunting for some of her short stories for ages and ages and ages, so you can imagine how thrilled I was to find Tigers are Better-Looking. It contains eight short stories first published in 1939, as well as a selection from a collection originally issued in 1927 as The Left Bank, and I can’t wait to start reading – only I have several books on the go at the moment. I would love to be able to read one book at a time. I stayed there, staring at myself in the glass. What do I want to cry about? … On the contrary, it’s when I am quite sane this like this, when I have had a couple of extra drinks and am quite sane, that I realise how lucky I am. Saved, rescued, fished-up, half-drowned, out of the deep, dark river, dry clothes, hair shampooed and set. Nobody would know I had ever been in it. Except, of course, that there always remains something. Yes, there always remains something. … Never mind, here I am, sane and dry, with my place to hide in. What more do I want? … I’m a bit of an automaton, but sane, surely – dry, cold and sane. Now I have forgotten about dark streets, dark rivers, the pain, the struggle, the drowning … Mind you, I’m not talking about the struggle when you are strong and a good swimmer and there are willing and eager friends on the bank waiting to pull you out at the first sign of distress. I mean the real thing. You jump in with no willing and eager friends around, and when you sink you sink to the accompaniment of loud laughter. the right note of sadness. Well, today I’m still in Paris, but I’ve abandoned the wealthy, sparkling world of Nancy Mitford for the dark, shabby streets of Jean Rhys. The world she describes in Good Morning, Midnight, couldn’t be more different, and her characters scratch a living as best they can. Sasha is as much seduced by the city as Grace, but any dreams of love she ever had have long since been smashed. There’s a rawness and intensity here that is lacking in ‘The Blessing’, and somehow, despite everything that happens to her, Sasha is honest in way that Grace isn’t. And the way the novels are written is very different as well. I can still remember how knocked out I was when I first read ‘Wide Sargasso Sea’ – it was a whole new way of looking at a novel, and rethinking the way I saw heroes and villains. And I was just as knocked out by ‘Good Morning, Midnight’. It’s 1936 and Sasha, as she calls herself, has returned to Paris where she lived for many years. As she wanders the city fragments of her past come to light: her child, a white, silent baby boy, lying dead in the hospital with a ticket tied round his wrist before ever she leaves the nursing home; her husband moving out of her life on a train; the jobs which didn’t work out and the men who abandoned her. Then there are the rooms where she has lived, in Holland, Brussels, Paris and London. The locations may change, but the rooms are always the same: small, riddled with bugs, in cheap buildings, in poor streets. She dreams of a room, a nice room, a nice light room, a beautiful room, a beautiful room with a bath, but it never happens. Lonely and desolate, she is unable to cope with the practicalities of everyday life, and gets by with the aid of drink and sleeping pills. And, like a child avoiding the cracks in the pavement she has an armoury of charms and rituals to protect her from the world – all will be well if she can only avoid certain streets, certain cafes, certain bars. There are times when a certain jaunty optimism surfaces. She will drink to a Miracle, she will have a new hair-do, buy a new hat, and tomorrow she will be pretty and happy again and everything will be all right, but you know there can be no happy ending here. Sasha appears vulnerable, a perpetual victim, easy prey for the young gigolo, or the young Russian and his painter friend. However, she has tremendous self-knowledge. She knows exactly who and what she is, and she is a surprisingly good judge of character. Cynical and disillusioned, she can spot a crook or a conman a mile off, but is prepared to let herself be taken in – I think she craves some kind of human contact, however bad the experience and its consequences may be. From the moment she attaches herself to Enno (who marries and leaves her) because she wants to escape her life in London, she seems to make her own decisions. Circumstances may be against her, and her choices may be limited, but nobody forces her, and she puts herself in situations where the outcome is inevitable. Knowing she cannot change the past, she has an almost fatalistic acceptance of the present. This happened and that happened, she says. And it’s a refrain that sounds throughout the novel, with slight variations along the way. Here this happened, here that happened, she tells us, remembering this, remembering that. Above all Sasha, who was once Sophie, who was once Sophia, realises the absurdity of human life, and how droll it can be. Good Morning, Midnight (the title comes from an Emily Dickinson poem) ends on a slightly sinister, but is not as depressing or bleak as it sounds. There are moments of joy (though not many admittedly) and touches of humour that can see, almost macabre. And whatever course Sasha’s life has taken, she has lived it to the full, unlike her unknown family who follow a clichéd existence back in England. The novel is beautifully written, in a kind of stream of consciousness first tense, where past and present merge and nothing is clear cut. I suspect that when it was first published in 1939 many people must have found it shocking in form and content. Never an easy read, nevertheless, it’s livelier and more personal than Viginia Woolf, and it’s tempting to see Sasha as a version of Rhys herself for here, as in so much of her work, her own turbulent life and feelings of alienation seem to be reflected. At any rate, in Sasha she has created a flawed woman who is set on a crash course to disaster, while we stand helplessly by and watch.